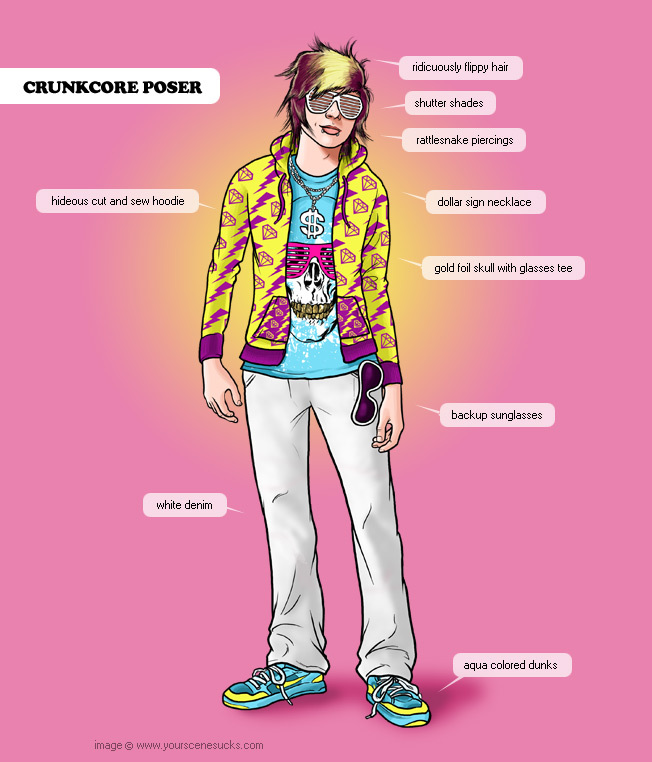 Thank you Rob Dobi for helping me explain why I scream about Crunkcore each and EVERY day. "the crunkcore movement is one that seems to be a brilliant marketing strategy by some sort of modern day lou pearlman who learned to tap into the brain of misguided emo kids who don’t know where to turn. there is no way such a genre would evolve organically, someone had to have made a conscious marketing decision to create one of the worst crossover genres of all time and throw it on myspace to see what happens." Hey P Stump! Golf cart licenses don't count toward REAL driving!